As it is known, Kashmir is the chief cause of tensions between heavily armed and nuclearized South Asian nations India and Pakistan, joint occupiers, along with veto power China, of Jammu Kashmir. China has taken a part of Azad Kashmir from Pakistani possession most probably on payment basis and does not ask for more lands from India which is eager to mend ways with Asian superpower so that Pakistan stands isolated internationally without any big supporter to question Indian action against Pakistan. Since the world powers and UNSC have refused to end genocides in Kashmir perpetrated by Indian forces that enjoy special military powers gifted by the fanatic regime, Kashmir Muslim continue to die, falling victim to modern colonialism religiously promoted by India with blessing form USA and Russia. That is indeed Himalayan shame. It looks like the South Asian nuclear giants are bent upon showcasing their prowess by engaging themselves in regular mutual clashes in order only to terrorize the Kashmiris besieged between them and find vital space in international media and forums. They have been successful. Interestingly, both sides typically refute the other’s version of events. New Delhi protested against the alleged mutilation of the body of an Indian soldier by an attacker who escaped across the Line of Control after “committing this heinous crime”. The press wing of the Pakistani military said India had committed 178 cease-fire violations this year, killing 19 civilians and injuring 80 more. In International Politics (IP), the Game Theory is a model of a zero sum game which describes a conflict scenario in which a protagonist’s total loss is his enemy’s total gain. The sum total of the loss and gain is zero. In IP as Zawodny opines some international conflicts today can be resolved only by situations in which the warring factions don’t lose and in which both may sometimes win. So is the Game Theory shifting the fulcrum of conflict between Pakistan and India towards settlement via international and regional agencies? The security dilemma or better still the Prisoners’ Dilemma plays a crucial role here. A nation like Pakistan faces dilemma without knowing about India’s intentions and vice versa. Both the nations want to resolve matters but with the K question being a permanent bone of contention it is very unlikely that something constructive will come up in the near future. After the Uri attacks by Pakistan backed terrorists and retaliatory surgical strikes by India on Pakistani terror camps, tensions escalated between India and Pakistan; so much so that a well known Indian producer was stopped from releasing his movie for casting an actor from Pakistan. Nationalistic fervour (read tempers) stands at an all time high, with irresponsible media on both sides gleefully cashing in on the state of affairs as they are. In this game of proxy wars and actual wars is it possible to settle matters amicably? Earlier this year, following the killing of Hizb-ul-Mujahideen operative Burhan Wani in the Kashmir valley the media was barred from covering the massive protests in the valley against the Indian Army. Though this was done ostensibly to avoid further escalation of violence, yet amidst all the brouhaha, tensions continued to escalate. The war of words on primetime television kept getting louder and none of the parties was willing to confess. The prisoners’ dilemma was evident. Since the early 1990s, China’s remarkable economic growth has led to a dramatic increase in its domestic energy needs, prompting its state-owned national oil companies (NOCs) to embark upon a worldwide search for oil and gas reserves. This strategy has been successful in diversifying import sources and satisfying the demands of a growing economy, yet at the same time has increased dependence on politically-unstable suppliers in Africa and the Middle East. Within the last decade this has raised concerns in Beijing, leading the Chinese government to focus on locating reserves and improving energy infrastructure closer to home in Southeast Asia, placing neighboring Myanmar at the heart of its ambitious strategy to ensure energy security for generations to come. China has been the dominant external actor in Myanmar’s fast-growing energy sector since the mid-2000s, tempted by the opportunity to build and finance projects on its doorstep in a previously military-led authoritarian country where many Western governments refused to operate. Despite the introduction of reforms in Myanmar since 2011, the partnership between the two countries appears to have grown stronger, with stable bilateral relations based on trade, investment, and energy co-operation. However, since pro-democracy activist Aung San Suu Kyi was elected Myanmar’s de-facto leader in the historic election of November 2015, many have highlighted the country’s sensitivity towards China’s growing influence in the region. At present, it can be questioned whether China will retain its leading role in Myanmar’s lucrative energy sector, amidst uncertainty over Chinese-financed projects and growing competition from India and the West. In terms of China’s energy security, Myanmar is of vital geostrategic significance given its access to the Indian Ocean and Andaman Sea. China sought to take advantage of Myanmar’s potential as an overland transportation route through launching the China-Myanmar Oil and Gas Pipeline project, which began construction in 2009. The initial agreement was signed in 2008 between China’s National Petroleum Corporation (CNPC) and Myanmar’s Ministry of Energy; it sought to build a US$2.3bn crude oil pipeline and a US$2bn natural gas pipeline spanning the length of the country, running from ports on the west coast to mainland China. With both projects now completed, the natural gas pipeline extends for 793km to Yunnan province, transporting gas from the Shwe natural gas fields off the Arakan Coast. China was awarded exclusive purchasing rights back in 2008, as part of an agreement to export 6.5tn cubic feet of natural gas from the Shwe fields to China over the next 30 years. The oil pipeline is also now operational, running parallel to the gas pipeline and covering a distance of 771km, transporting oil from the Middle East and Africa to Southwest China. Pakistan’s checkered history of state building is marked by prolonged military rule and intermittent stints by civilian governments. Since the restoration of democratic governance in 2008, the institutionalization of democratic norms has been under tremendous stress, frequently leading to civil-military tensions. The fledgling democratic process is trying to find its place in the country’s complicated decision-making machinery, where institutional roles collide and mandates overlap. The marginal civilian sources of input in the country’s security and foreign policies, in spite of the supremacy and sovereignty of the parliament as the apex state institution, are at the heart of this never-ending struggle. So far, civilian efforts to restore the institutional balance have not made much headway. The federal government’s indirect and muted criticism of the military establishment, while struggling to keep good governance on track, has only strengthened the military’s narrative: civilian regimes are not competent enough to run Pakistan’s domestic security, national security and foreign policies. The recent episode, concerning Prime Minister Nawaz Sharif and his camp talking tough with military top brass, instructing them to take action against certain terrorist groups and then leaking the proceedings of this high-level meeting to a prominent journalist from the English-language daily Dawn, has only undermined the government’s own credibility. These recent events have played directly in favor of the military’s narrative. It is now time to focus more on the ways in which cyber military capability can transform military power in wartime. In 2015, the Rand Corporation published a courageous assessment of the war-fighting potential of China and the United States. It assessed that the Americans would have a clear advantage in cyber war scenarios involving Taiwan or the Spratly Islands in 2017. The authors’ confidence was buttressed by their conclusion that out of another 16 sets of conventional military capability comparisons (such as naval and air), the United States forces enjoyed at least parity in eight and a clear advantage in another six. In other words, China loses in almost all scenarios of military confrontation. This report is one of the best-ever net assessments of U.S. and Chinese military capabilities that is available in the public domain. The report flies in the face of the defeatism and pessimism endemic in U.S. political discourse about threats from a rising China. The report received surprisingly little serious media coverage in the United States, and has fared only modestly in subsequent coverage by U.S. scholars. Of some note, the report’s overall assessment goes very close to how I would read Chinese assessments of their weaknesses relative to the United States. Similar things can be said about today's People's Liberation Army Air Force (PLAAF). The PLAAF is one of the largest and most capable forces in the world in terms of quantity and technology, but Western analysts have long questioned its rigid, outdated approach to pilot training—relying heavily on ground control and scripted environments to achieve training objectives. The prevailing view among many Western observers is that Chinese fighter pilots lack the tactical mindset to engage and prevail in a dynamic, unscripted combat environment. Our recently released report on PLAAF training suggests that narrative may be changing. Our analysis found that the PLAAF has initiated system-wide reform to train fighter pilots in the skills necessary to “fight and win” against potentially superior military competitors like the U.S. At the heart of this reform is an effort to train officers under what Chinese military leaders refer to as “actual combat conditions,” which include, among other things, nighttime battle training, complex electromagnetic conditions, special geographical environments and extreme weather conditions. How is the proficiency of PLAAF pilots affected by their training at operational aviation units in the context of the larger PLAAF training system? What does the open-source literature tell us about the duration, nature, and content of fighter pilot training? How does the PLAAF training compare with unit-level pilot training in the U.S. Air Force? What are the impediments to the institutionalization of training within the PLAAF? The People's Liberation Army Air Force (PLAAF) has embarked on a major institutional reform to train and equip a modern, professional aviator corps. At the heart of this reform is an effort to train officers under what the People's Liberation Army refers to as "actual combat conditions" (实战条件). Such an emphasis reflects an acknowledgment by senior leaders that the PLAAF, and by extension the entire Chinese armed forces, is ill prepared to "fight and win" wars against potentially superior military competitors and must therefore reinvigorate training programs to meet the missions that the Chinese Air Force may be called on to execute. This report seeks to assess PLAAF pilot proficiency by examining training held at operational aviation units in the context of the larger PLAAF training system. The first section analyzes the hierarchy of PLAAF training guidance. The second section examines the PLAAF training system for pilots prior to their arrival at their operational units, to include an examination of the theoretical and practical methods of instruction. The third section covers the transition to the PLAAF operational aviation unit and the content of unit training to include an analysis of the PLAAF annual training cycle. The fourth section addresses the development and training of instructor pilots at the unit level. The final section seeks to evaluate the operational competency and weaknesses within the PLAAF aviation training system. The Islamic State in Iraq and Syria (ISIL) has made headlines with its dramatic and effective exploitation of social media. The organization has drawn on a variety of social networking applications to promote its cause, including Facebook, Instagram, Tumbler, Ask.fm, and, most prominently, Twitter. ISIL has used Twitter to disseminate slick yet violence-ridden propaganda videos, promote its religious ideology and state-building efforts, and make one-on-one connections with prospective recruits. Its social media prowess has quite possibly played a part in ISIL's enormous success in recruitment and in inspiring deadly attacks throughout the world. These successes have led to the perception that ISIL is "winning the war" on Twitter. However, the reality is a little more complicated. While Twitter serves up ISIL propaganda and helps the group achieve its goals, it also gives the broader public a unique window into the social networks of extremist supporters and allows researchers to study the impact of extremist messaging. In addition to exposing ISIL supporters, Twitter provides an opportunity to assess the structure and messaging of ISIL opponents, since it is home not only to ISIL recruiters and advocates but also to many in the Middle East who do not support the Islamic State. ISIL supporters talk up themes of defending Islam, recruiting new fighters, promoting state-building efforts, and critiquing the West, while ISIL opponents fight back by accusing ISIL of subverting Islam, highlighting ISIL violence, and trumpeting its terrorist threat. Countering ISIL in the real world also requires countering its messaging online. Countering ISIL in the real world also requires countering its messaging online. However, it has been widely acknowledged that overt U.S. messaging against ISIL will likely fall flat. The United States is not trusted in the region and is poorly positioned to directly address theological or other factors that motivate young recruits. PDF file 6.8 MB Best for desktop computers. ePub file 7.6 MB Best for mobile devices. mobi file 16.9 MB Best for Kindle 1-3. How can we differentiate ISIS supporters and opponents on Twitter? Who are they, and what are they saying? How are they connected, and who is important? The Islamic State in Iraq and Syria (ISIS), like no other terrorist organization before, has used Twitter and other social media channels to broadcast its message, inspire followers, and recruit new fighters. Though much less heralded, ISIS opponents have also taken to Twitter to castigate the ISIS message. This report draws on publicly available Twitter data to examine this ongoing debate about ISIS on Arabic Twitter and to better understand the networks of ISIS supporters and opponents on Twitter. To support the countermessaging effort and to more deeply understand ISIS supporters and opponents, this study uses a mixed-methods analytic approach to identify and characterize in detail both ISIS support and opposition networks on Twitter. This analytic approach draws on community detection algorithms that help detect interactive communities of Twitter users, lexical analysis that can identify key themes and content for large data sets, and social network analysis. ISIS supporters, however, routinely outtweet opponents, producing 50 percent more tweets per day. On Thursday, a British court threw a spanner into the works of the British government’s Brexit tactic, saying that Parliament must be consulted before exit negotiations start. This is contrary to the government’s view that it has the power to do so without consulting Parliament. This is however only one of six major battlefields Prime Minister Theresa May faces and may not even be the most difficult one. Brexit confronts Prime Minister Theresa May with six front lines: The Tory Party, the Parliament, and the British public, Scotland and Northern Ireland, the World Trade Organization (WTO), and the European Union. A plan to merge adversarial interests into a mutually acceptable outcome must be concocted – a narrow path through the woods, if there is one. According to media reports, cards are being kept close to the chest. Tactics, ambitions, and objectives are not being disclosed; the adversary might take advantage. Nothing could prove less suitable to square this circle. Theresa May is not negotiating with enemies, but with friends and partners who are disposed to help if given a chance to do so. But how can they without knowing where she sees the solution? Admittedly there are items where you do not reveal red lines such as budget contributions, but for the grand bargain openness is required. Syria's Endgame Is Under Way. Is America Ready? Is the table being set for a grand, realpolitik-based cessation of the fighting in Syria? And does the recent political deal in Lebanon both provide a workable template for a solution? The first question is whether stars are aligning for any sort of compromise between the key interests of the major outside powers with skin in the game in Syria. For Iran, the paramount interest is to safeguard the so-called Shia crescent, extending westward from Iraq into Syria and Lebanon, and to make sure that Tehran’s lines of communication with its allies are protected. For Turkey, it is to retain influence in the region, protect ethnic Turkmen enclaves and to prevent the emergence of a unified Kurdish entity out of the wreckage of two failed centralized Arab autocracies, which would undermine its control of the Kurdish regions of the Turkish Republic. For the Gulf Arab monarchies, it is containing Iranian influence and defending the interests of Arab Sunnis against a majoritarian Shia government in Iraq and a minority Alawite regime in Syria. Finally, Russia wants to protect its equities in Syria, reemphasize its return to the Middle East as an agenda-setting power, and demonstrate that it can protect its clients from violent overthrow indirectly sponsored and supported by the United States. If Bashar al-Assad is still sitting in Damascus the day after President Barack Obama leaves office, Moscow will have won a significant symbolic victory. As long as each actor was committed to pursuing the maximalist versions of their agendas, conflict was inevitable. It is no longer automatic that “Assad must go,” or that he is on the verge of falling—but while extensive Russian and Iranian assistance can shore up Assad’s position, neither Moscow nor Tehran is willing to pay the price that would be necessary to restore all of Syria to Assad’s control. An average 25 percent jump in health-insurance premiums sold on Obamacare exchanges has administration officials and their congressional allies scrambling to find some rapid remedy to control costs. Emerging as the liberals’ leading policy prescription is a “robust public option”—an option roundly rejected during the 2010 debate. President Obama, presidential candidate Hillary Clinton, Health and Human Services Secretary Sylvia Burwell, Senate minority leader Harry Reid and thirty-two Democratic senators—the top political stars in America’s “progressive” constellation—all strongly endorse this proposal. They say it will enhance market competition and control costs. But . . . it’s got to be robust. When progressives say they want to make the public option “robust,” what they really mean is they want to endow it with special advantages. To be blunt, they want to make sure that the “level playing field” between the public option and private plans is, well, tilted against private plans. One way to do this, as congressional liberals proposed in 2009, is to base public-option payment rates for doctors, hospitals and other medical professionals at Medicare levels—well below the reimbursement rates that private health plans maintain in the provider contracts. Paying physicians less would enable the public option to offer lower premiums, undercutting the market share of private health plans. On October 26, Lieutenant General Peng Sheng-chu (彭勝竹) formally assumedthe post of director-general of Taiwan’s lead intelligence agency the National Security Bureau (國安局 or NSB). The NSB is the country’s premier intelligence collection and analysis organization with the responsibility to “direct and coordinate the activities of the national intelligence community,”akin to the role of the Central Intelligence Agency. Peng ‘s appointment to replace Army Reserve Lieutenant General Yang Kuo-chiang (楊國強) as director of the agency marks the first time that the air force is at the head of the NSB, as well as the Ministry of National Defense (MND). Peng is of the Hakka minority and previously served as the 18th commander of the Republic of China (ROC) Air Force from July 2007 to July 2009. The new NSB chief graduated from the ROC Air Force Academy in 1971, Taiwan’s National Defense University in 1984, and the US Air War College in 1993. In July 2002,Peng became chief of the president’s bodyguard detachment during the Chen Shui-bian administration, and was quickly promoted to principal of the ROC Air Force Academy in May 2003. He was then elevated to chief of staff of the ROC Air Force in December 2004 and served as the director-general of the Military Intelligence Bureau (MIB) from June 2005 to April 2006. After his time at MIB,Peng was promoted to deputy chief of the general staff of the ROC Armed Forces. Later, former KMT president Ma Ying-jeou selected Peng to serve as one of his 11 strategic advisers (戰略顧問) in 2009. Peng also served as air attaché at the Taipei Economic and Cultural Representative Office in the United States. New photographs confirm the U.S. Air Force’s biggest spy planes are helping hunt Islamic State fighters. The missions come as Iraqi and Kurdish troops work to evict the terrorists from the city of Mosul. On Oct. 21, 2016, at least one RC-135V/W Rivet Joint took off from Al Udeid Air Base in Qatar and headed for either Iraq or Syria. Derived from the Boeing 707 airliner, these four engine flying spooks can travel nearly 4,000 miles without needing to refuel. “The aircraft provided reconnaissance to the 20-nation air coalition by collecting real-time on-scene … intelligence,” one official caption read. The jets can supply “near real-time on-scene electronic warfare support, intelligence collection, analysis, and dissemination capabilities,” another captionexplained. As forces on the ground push back Islamic State, making sure the group’s fighters can’t escape unnoticed is particularly important. The Rivet Joints have been a nearly constant fixture in the Middle East since the first Gulf War in 1991. For more than a decade afterwards, crews kept watch over Saddam Hussein’s troops while enforcing no fly zones over areas of Iraq. After a U.S.-led coalition invaded Iraq in 2003, the RC-135s backed up American troops fighting Saddam loyalists and other insurgents. Even when the Pentagon withdrew the bulk of its forces in 2011, the aerial spies kept looking for militants in the country. Analysts at the Pentagon’s Defense Intelligence Agency closely monitored a recent Russian nuclear forces exercise that was one of the largest strategic drills of its kind since the Soviet era. The unannounced war games were called strategic operation of nuclear forces and took place between Oct. 10 and Oct. 12 throughout Russia. The exercises appear to be the latest round of nuclear saber-rattling against the United States by President Vladimir Putin. One official said the exercises, involving numerous launches of nuclear missiles, were gauged to be at levels that reached or exceeded the kind of Soviet strategic force exercises held during the Cold War. “This resembled the days of the Soviet Union in both numbers and breadth of exercises,” said one official familiar with reports of the maneuvers. The first test launch during the exercises was the firing of an SS-N-18 submarine-launched ballistic missile from a Delta III-class submarine in the Sea of Okhotsk in the Russian Far East. That launch was followed by the firing of a SSN-23 missile from the Barents Sea. Both carried multiple dummy warheads. Then, on Oct. 12, a SS-25 road-mobile intercontinental ballistic missile was launched from the Plesetsk missile launch facility in northern Russia. “This launch aimed to confirm the extended service life of operating intercontinental ballistic missiles of this type,” the Russian Defense Ministry said of the SS-25 launch in a statement reported by the official TASS news agency. “The missile’s warhead hit the notional target with the required accuracy at the practice range on Kamchatka Peninsula,” the statement said. Did Russia invade Iraq and kill one million people? Does Russia have a greater percentage of its population behind bars than any other country in the world? Did Russia occupy Haiti after kidnapping its president? Are Russian police allowed to shoot children to death without fear of repercussion? Is Russia entering its 20thyear of a terror war against the people of Somalia? All of these crimes take place in or at the direction of the United States. Yet the full force of propaganda and influence on world opinion is directed against Russia, which whatever its shortcomings cannot hold a candle to America in violating human rights. The dangers presented by a Hillary Clinton presidency cannot be overstated. She and the war party have been steadily working towards a goal that defies logic and risks all life on earth. Regime changeis once again their modus operandi and they hope to make it a reality against Russia. Nearly every claim of Russian evil doing is a lie, a ruse meant to put Americans in a fighting mood and lose their fear of nuclear conflagration. It isn’t clear if Clinton and the rest of the would-be warriors actually realize they are risking mushroom clouds. Perhaps they believe that Vladimir Putin will be easily pushed around when all evidence points to the contrary. The unproven allegations of interference in the presidential election and casting blame on Russia as the sole cause of suffering in Syria are meant to desensitize the public. It is an age old ploy which makes war not just acceptable but deemed a necessity. The usual suspects are helping out eagerly. The corporate media, led by newspapers like the New York Times and Washington Post, are front and center in pushing tales of Russian villainy. Human Rights Watch and other organizations who care nothing about abuses committed by the United States and its allies are also playing their usual role of choosing the next regime change victim. WASHINGTON, Nov 2 (Reuters) - When America goes to the polls on Nov. 8, according to current and former U.S. intelligence officials, it will likely experience the culmination of a new form of information war. A months-long campaign backed by the Russian government to undermine the credibility of the U.S. presidential election - through hacking, cyber attacks and disinformation campaigns - is likely to peak on voting day, the officials said. Russian officials deny any such effort. But current and former U.S. officials warn that hackers could post fictional evidence online of widespread voter fraud, slow the Internet to a crawl through cyber attacks and release a final tranche of hacked emails, including some that could be doctored. "Don't underestimate what they can do or will do. We have to be prepared," said Leon Panetta, who served as CIA director and defense secretary in President Barack Obama's first term. "In some ways, they are succeeding at disrupting our process. Until they pay a price, they will keep doing it." John Brennan, the current CIA director, declined to comment on the Russian efforts. But he said Russian intelligence operatives have a long history of marrying traditional espionage with advances in technology. More broadly, Brennan said, the digital age creates enormous opportunities for espionage. But it also creates vulnerabilities. Citing an array of new cyber, conventional and terrorist threats, Brennan announced the most sweeping reforms of the CIA in its 69-year history 18 months ago. Russian President Vladimir Putin (C), Defense Minister Sergei Shoigu (L) and Russia's Federal Security Service (FSB) Director Alexander Bortnikov watch events to mark Victory Day in Sevastopol May 9, 2014. A user named “Феликс Эдмундович” modified one of the documents using settings in the Russian language. Translated, his name was Felix Edmundovich, a pseudonym referring to Felix Edmundovich Dzerzhinsky, the chief of the Soviet Union’s first secret-police organization, the Cheka. It was one more link in the chain of evidence pointing to Russian President Vladimir Putin as the man ultimately behind the operation. 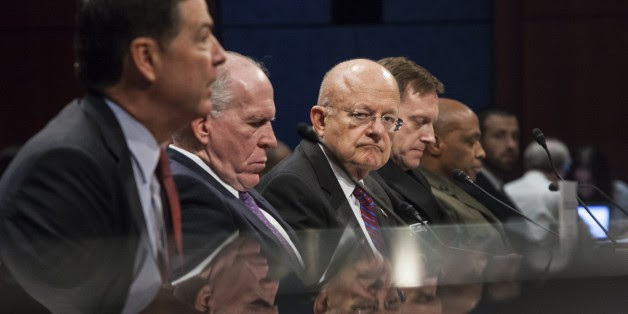 WASHINGTON – When America goes to the polls on Nov. 8, according to current and former U.S. intelligence officials, it will likely experience the culmination of a new form of information war. A months-long campaign backed by the Russian government to undermine the credibility of the U.S. presidential election – through hacking, cyber attacks and disinformation campaigns – is likely to peak on voting day, the officials said. The cyberattacks on October 21 that denied web users access to popular websites such as Twitter, PayPal, Netflix and others was a stark reminder of weak security in an increasingly internet-driven world. The attacks on internet DNS (domain name services) provider Dynamic Network Services, or Dyn, of Manchester, NH, underline the urgent need for consumer education, legislative mandates to force device makers to install adequate security features, and for internet-driven companies to elevate security issues to top management. The attacks worked by marshalling networks of ordinary household devices such as child monitors or webcams to hurl an estimated 1.2 trillion bits of data every second at Dyn’s servers, causing them to crash. Dyn helps connect the browsers of internet users to the websites they choose, by matching the site address with the IP addresses that identify their computers. Dyn contained the problem later in the day, but was shaken by its unprecedented nature. “This was a sophisticated, highly distributed attack involving tens of millions of IP addresses,” noted Kyle York, chief strategy officer at Dyn about the so-called distributed denial of service (DDoS) operation. In a DDoS attack, large numbers of internet-enabled devices send massive amounts of requests to DNS providers, overwhelming them and rendering them incapable of fulfilling those requests. Microsoft Corp said on Tuesday that a hacking group previously linked to the Russian government and U.S. political hacks was behind recent cyber attacks that exploited a newly discovered Windows security flaw. The software maker said in an advisory on its website there had been a small number of attacks using "spear phishing" emails from a hacking group known Strontium, which is more widely known as "Fancy Bear," or APT 28. Microsoft did not identify any victims. In his battle with the United States, Vladimir Putin has a new target — Microsoft. The Kremlin is backing a plan to rid government offices and state-controlled companies of all foreign software, starting with Moscow city government replacing Microsoft products with Russian ones, according to a senior U.S. intelligence official. The Russians have also moved toward blocking LinkedIn, the U.S.-based networking site that Microsoft is in the process of buying. The company is appealing an injunction, with a decision expected Nov. 10. Microsoft's disclosure of the new attacks and the link to Russia came after Washington accused Moscow of launching an unprecedented hacking campaign aimed at disrupting and discrediting the upcoming U.S. election. Globally, the state-sponsored cyber theft bureaucracy exists despite repeated denials by top government officials. In his latest interview to the Guardian, Mr. Andrew Parker, the head of MI5, Britain’s counter-intelligence and security agency highlighted the threat of Russian cyber attacks against Britain. Mr. Parker said that the scale and potential consequences of the hacks have helped widen the rift of distrust between the two countries, in particular, evoking Cold War tensions between Russia and the Western world. Security analysts have serious concerns about Russian cyber attacks that have generated multiple headlines over the past year, particularly after a self-styled hacker known as “Guccifer 2.0” claimed to be the source of the leaks. WikiLeaks did not reveal its source; however, cyber security experts and firms believe that the leak was part of a series of cyber attacks on the DNC committed by two Russian intelligence groups. Later, the United States Department of Homeland Security and the Office of the Director of National Intelligence stated that the US intelligence community had a very strong reason to believe that the Russian government was behind this breach in an attempt to influence the outcome of the US presidential election. Other countries are also developing HSWs. Russia is developing the Zircon, a ship-launched hypersonic anti-ship cruise missile (ASCM) reportedly derived in part from the Brahmos, a supersonic ASCM developed by Russia and India. It is also developing a ballistic missile-launched system with a hypersonic glide vehicle. The development of conventional hypersonic weapons offers opportunities and challenges for U.S. defense planners, particularly in potential major conflicts with adversaries possessing advanced air defenses. The introduction of air-launched HSWs could allow aircraft to target short-dwell mobile targets, such as surface-to-air missile (SAM) systems and ballistic and cruise missile launchers, from standoff range in ways that are ineffective with subsonic weapons due to their long time of flight. HSWs could also put at risk well-defended targets that are difficult to hit with subsonic weapons. The very high-speed, high-altitude flight profile, and maneuverability of HSWs could reduce threat engagement opportunities, increasing weapon survivability and effectiveness. Procuring HSWs could also force potential adversaries to develop new air defense systems or re-allocate existing ones to address this threat, possibly increasing the effectiveness of other air assets. Of course, other solutions are possible. Supersonic (Mach 1 to Mach 5) weapons could also be effective in attacking these targets and would also need to be considered. If you're like most Americans, the idea that our country doesn't have a unified cyber defense agency is about as unthinkable as a presidential contest between Donald Trump and Hillary Clinton. Our cyber defenses are scattered across three agencies that don't always communicate well (a generous appraisal) or in a timely fashion, and we've never been more vulnerable. As Ronald Reagan (quoting John Adams) famously said during his address to the 1988 Republican National Convention, "Facts are stubborn things." On October 21, there was a cyber attack in the United States. At least two "cause hacking" organizations have taken credit for it. If it had been conducted by state-sponsored hackers, it would have been an act of war. How many of your friends and family know about it? A lot, if they only knew how it affected them. After last week's cyberattack leveraged insecure internet-connected devices to wage a denial of service attack, many experts urged consumers to change passwords. But that alone won't solve the problem. Cybercriminals last week amassed a powerful online weapon from compromised internet-linked cameras and video recorders prompting warnings to consumers to change default passwords on their gadgets. But weak passwords aren't the only security issues that come along with the fast-growing Internet of Things (IoT) marketplace, experts warn. A host of problems – from how devices connect to the internet to how they are manufactured – are leading to increasing worries over how attackers could take advantage of insecurities in connected devices. The warnings about connected devices follow a recent assault on Dyn, a company that provides a core piece of internet infrastructure, that relied on software called Mirai to take over and control vulnerable internet-connected devices. According to analysis by the security firm Imperva, Mirai spreads by performing wide-ranging scans of internet addresses to locate under-secured IoT devices that can be remotely accessed. Once it finds these devices, Mirai is programmed to guess at usernames and passwords to try to gain access to them – a so called "brute force" attack. Many of the devices compromised in the Dyn attack came from a single Chinese supplier, XiongMai Technology. Xiongmai's hardware and software reside in many brands of closed-circuit cameras, digital video recorders, and other devices and contain a hidden, administrative account that could not be changed by users. But focusing on weak passwords with IoT devices alone risks missing the larger point, security experts warn.